If you are looking for some unique and beautiful pens, our Catalog #73 opens today to non-subscribers! 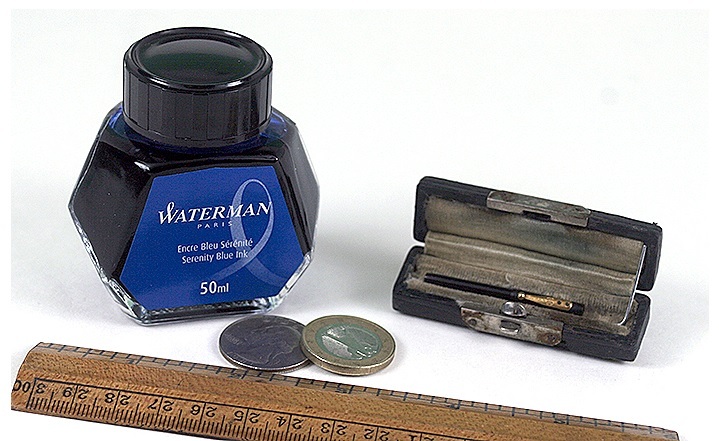 If you want first crack at the vintage pens – often some very unique finds – such as “World’s Smallest Pen” – an eyedropper-filled fountain pen produced by Waterman in black hard rubber (often called the Doll Pen). It is just over 1.5″ long and 1/8″ in diameter, with box. Now that’s something for a collection! This pen has been sold. If you would like to see the quarterly catalog before everyone else, either through hard copy or internet only, consider subscribing!